Painting individual rooms within a house require careful planning and, for an inexperienced painter, it can be a daunting undertaking. One should also come up with painting ideas and techniques to have a well finished paint job. Painting jobs require specialized skills. Most painting companies deal with professional house painters when painting individual rooms of any kind of a house. Being a licensed house-painting contractor, these companies have two things that most homeowners do not; expertise and experience in painting individual rooms within a house. Usually, there are many good reasons for hiring a professional painting contractor when it comes to painting individual rooms. Time restraints, safety, health, and convenience are among the considerations. Painting individual rooms give a new look to the entire house without changing the structure itself. It is usually advisable to hire an experienced or a professional painter to do the job. A professional contractor, found in most painting companies, is not only able to provide a perfect finish to a room paint job but also provides professional services that go along with such projects. Painting companies do the job in a professional manner, giving better results as compared to painting individual rooms in a house personally. Professional painters know the materials to use due to the climatic and weather conditions of a particular area. Being well acquainted and always exposed to the painting industry, professional painters are also in a better position to know local market trends. Having a well-experienced team also means that we can do the job in a fraction of the time it would have taken if a person were to do it single-handedly. Thus, for those with a busy schedule, hiring professionals is an excellent option. Before one decides to start painting individual rooms, it is wise to undertake in any other interior painting, paint removal, wallpapering and special finishes to make the individual rooms look attractive. Climbing on ladders while painting individual rooms can be dangerous, especially in small rooms. Working with solvents and the risk of dust inhalation in enclosed small spaces is also hazardous. Some paints have proven to pose health risks during sandpapering and scraping in preparation for painting individual rooms. The dust chips and particles from these paints can prove hazardous for people in those environments. 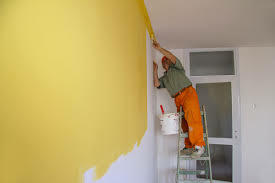 Many painting companies involved in painting individual rooms within homes use among the best professional and licensed painters for painting residential, renovated or new homes, with experienced and professional painters trained in precautions to take when handling lead-based paints. A professional painter will also prepare surfaces properly before painting individual rooms. If the surfaces are poorly prepared, the quality and appearance of paint will be affected. Such preparation is very time consuming but it is important because it increases the paints durability and yields great results. An experienced painter is also familiar with types of paints, how to apply each type of paint and when to apply what product. By adhering to these details, painting companies guarantee quality work in painting individual rooms within homes. Foothills Painting provides painting services for residents and businesses. For more information contact us at http://foothillspaintingbroomfield.com/ or Broomfield CO painters. How do you find a house painter in your area?